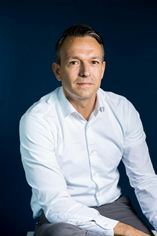 LONDON, 15 August 2017 – NewVoiceMedia, a leading global provider of cloud contact centre and inside sales technology that enables businesses to have more successful conversations, today announced that it has appointed Dennis Fois as President and Chief Operating Officer to strengthen its executive team. “We are totally committed to helping our customers dramatically improve both their sales efficiency and the quality of their customer service by helping them leveraging their prospect and customer data in their CRM and other web-based enterprise platforms. We operate in a multi-billion dollar market that is accelerating its transition to the cloud, we have the only truly global platform that addresses the requirements of both sales and service teams, through the world’s best CRM and web API integration capabilities. It’s this opportunity combined with our people and beliefs that means we can attract candidates of Dennis’s calibre. I’m deeply excited about how Dennis will help accelerate our already impressive growth trajectory in North America, while also helping us ensure we truly deliver value, innovation and excitement for both our customers and our employees alike”. The vendor’s award-winning customer contact platform helps organisations worldwide build a more personal relationship with customers or prospects. It joins up all communications channels without expensive, disruptive hardware changes and plugs straight into your CRM for access to data. With its cloud environment and proven 99.999% platform availability, NewVoiceMedia ensures flexibility, scalability and reliability.